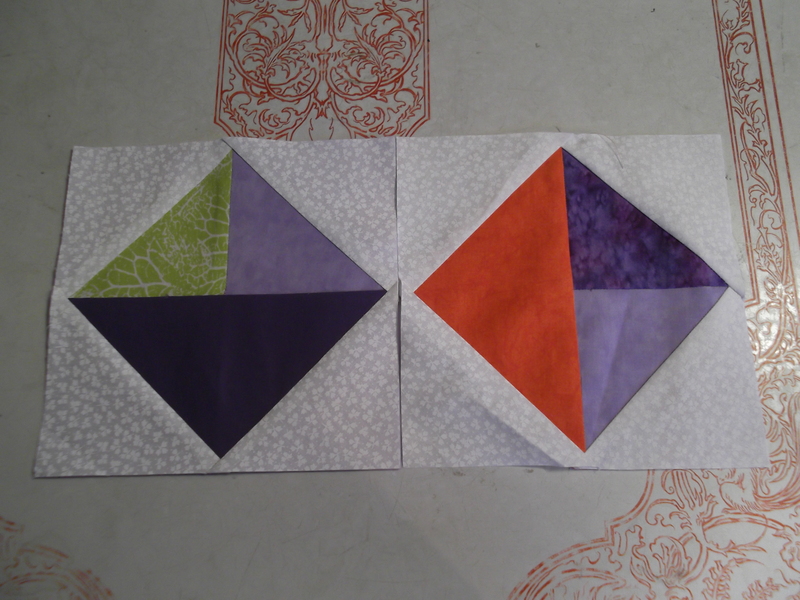 Here’s my first two Triangles-in-a-Square blocks for April. The fabrics really are brighter than they show in the picture. It’s a gloomy, rainy, yet SPRING day here in Ohio. Yesterday, we had pea-sized hail coming down while the sun was shining. It’s been a crazy spring so far. Hi Kathy, Nice , pretty blocks. Hope you have a brighter weekend! We had rain yesterday, as well, it melted a lot of snow off the fields around our home…I can’t see ground yet (except for a patch over the septic tank LOL) and the snow is now very grey and scruffy looking along the ditches…I love snow and winter and look forward to it but, enough is enough!